In my opinion, yoga blocks are the one piece of equipment in addition to a mat that every yogi should own. 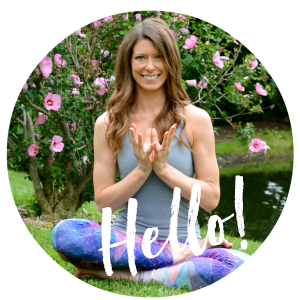 They’ve transformed my practice entirely, allowing me to find poses that feel right in my body and ultimately helping me to have a better experience with my yoga practice. My own experience is what’s inspired me to make sure all of my fellow yogis know how to use yoga blocks and how it can make their yoga poses feel even better in their bodies. If you don’t own a yoga block or two, I hope to convince you to pick one up after reading this post. Yoga blocks and other yoga props allow you to to help fit a pose to your body. 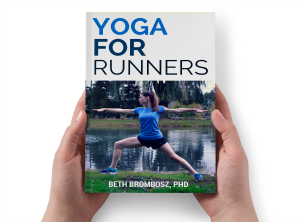 Our bodies are all different; my yoga pose will likely look nothing like your yoga pose because our muscles and tendons and ligaments are all put together in slightly different ways. Our muscles are tight in different ways. So, it makes sense that we shouldn’t expect all yoga poses to naturally fit in our bodies without the use of props. Yoga blocks are a great tool to help you find the version of a yoga pose that feels best in your body, allowing you to better experience the pose. Why are #yoga blocks a yogi’s best friend? Using yoga blocks will also help your poses feel more stable and grounded. Feeling the support of the ground under your block can allow you to find expressions of a pose that you may not have found otherwise. 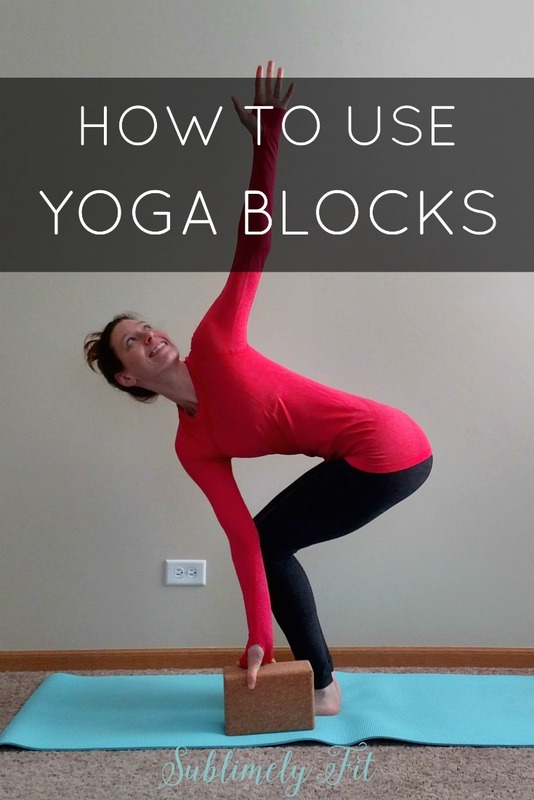 I know personally I’m often able to find more opening in my body when I’m using yoga blocks. When you don’t feel like you’re struggling to stay balanced, you can focus on your breathing and finding greater opening, whether you’re twisting a little deeper or sinking more into a pose. There are many different ways to use yoga blocks. One of the most common ways is to place the block between your arms and your mat to bring the ground closer to you. A block is particularly helpful when you don’t have the flexibility to bring your hands to the mat. In a forward fold, two hands on one block or a hand each on two blocks can help you feel more grounded and secure, which in turn can help you lengthen through your hamstrings a bit more. You stop feeling like you’re struggling to make your pose fit your body and instead allow your body to find its best version of the pose. Placing blocks underneath your body to help create proper alignment is another way how to use yoga blocks. One of my favorite ways to do this is in Half Pigeon Pose. Many of us have tight hips from sitting all day, which can make Half Pigeon a tough pose to come into. If you’re flexible enough to come to Half Pigeon but you still feel like you’re struggling a bit, try bringing a block under your hip. To make the pose easier, you may naturally want to sink into the hip that’s being stretched, but you should aim to keep your hips square. Keeping a block under the hip helps to even and square your hips, and the added support often allows you to find more release through your deep hip muscles. 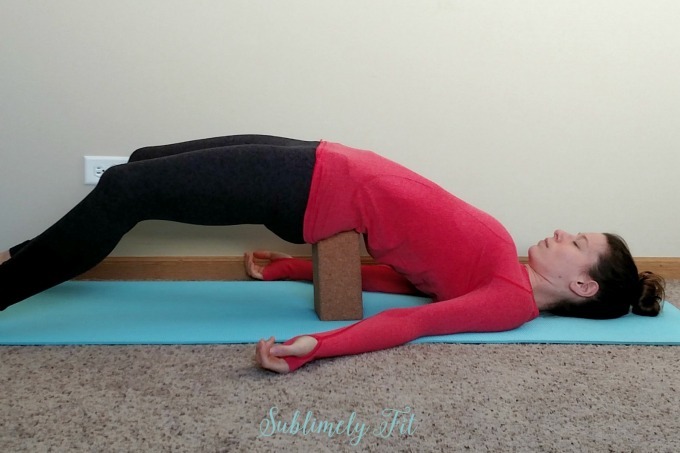 You can also use a block to help support you in more restorative poses, like Supported Bridge. With a block under your sacrum in Supported Bridge, you can allow your body to surrender and melt into the pose, helping you release tension from your hips and shoulders. 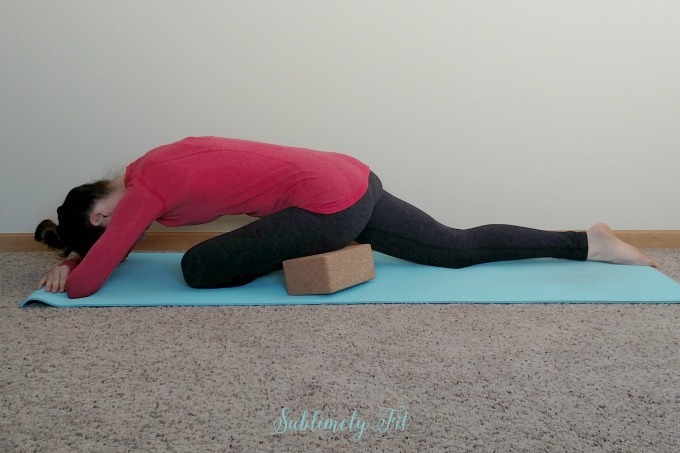 Yoga blocks are great additions to a Restorative Yoga or Yin Yoga practice. In Restorative and Yin Yoga, you hold yoga poses for longer periods of time, usually three to five minutes. It’s important to use the support of props in these poses to allow your body to open, otherwise most of us would spend all of our time in the pose struggling to hold the pose. Props, including yoga blocks, allow you to support your body in your pose, finding a position where you can allow your body to relax and release more than they would without the support of props. What Kind of Yoga Block Should You Use? There are two basic styles of yoga blocks, foam and cork. The foam blocks are usually less expensive, but I find them to be less supportive. Most foam blocks are a squishier material, which tends to give a little bit in poses where you’re putting a good amount of weight on them. I personally much prefer my cork block. (This 4″ x 6″ x 9″ cork yoga block is the block I personally use and I’d highly recommend it. It’s very durable and it’s at a great price point.) I have both, but almost never use my foam blocks. If you’re going to invest in a yoga block, I strongly recommend spending a few extra dollars and getting a cork block. Yogis: What’s your favorite yoga prop? Which do you prefer, cork or foam yoga blocks? This post contains an affiliate link. Thanks for helping me cover the costs of hosting my blog! I definitely use blocks. My yoga instructor encourages them and teaches that they are not a crutch but actually help you get the most out of a pose. I also start my practice with 2 blocks by my side. I know I will use them at some point. So glad to hear that, Marsha! I agree 100% with your teacher. Poses are so much better with props, especially when they don’t feel right otherwise. I’m not flexible at all, so I always grab two block in every class (oh, and a strap!). It’s been so helpful in getting me into poses that I never would have tried before. It’s great to be able to relax into forward folding poses instead of struggling to hold myself up without being able to touch the ground. I might have to look into getting some cork ones at home! Love that you’re not afraid to use props, Kristen! Truly, props are what can make the biggest difference in your yoga practice. And you’ve hit the nail on the head–it really changes things when you can relax into poses instead of struggling through them. Thanks for your helpful comment and sharing your experience! With my back problem, I LOVE the supported bridge pose with the block underneath my sacrum. Gives my back a little traction! Great tips, my friend!